The role of IT has shifted from infrastructure to being a core part of businesses, emphasizing the contribution of IT in customer experience. Thomas Saueressig, chief information officer at SAP, tells CXOTalk how disruption in information technologies has led to serving customers with a global centralized cloud infrastructure. Saueressig is CIO, Senior Vice President, Global Head of IT Services and a member of the SAP Chief Technology Officer circle. In his role as SAP CIO, he represents the entire IT organization internally and externally and is actively rejuvenating the IT organization to become agile, user-centric and business driven with a cloud first approach. He was named in the renowned Fortune 40 under 40 list and holds an executive MBA Mannheim Business School (Germany) and ESSEC (France). This video was recorded at SAPPHIRE NOW 2018 as part of the SAP Select program with SAP's top customers, discussing the topic of Intelligent Enterprise. Michael Krigsman: We are live from Sapphire Now 2018 in Orlando, Florida. I'm Michael Krigsman. I'm an industry analyst and the host of CxOTalk. I am delighted right now to speak with the chief information officer of SAP, Thomas Saueressig. Hey, Thomas; how are you? Thomas Saueressig: Nice to meet you, Michael. Michael Krigsman: Tell us about your role as CIO. Thomas Saueressig: Yeah, so the role, actually, fundamentally changed in the last couple of months, quite significantly, because if you think about all this move to the cloud, I think you recognize IT is actually becoming part of the core value chain of the company and also, actually, quite frankly, part of the product itself. Now, I'm also responsible for the customer experience of SAP from a technology perspective and the global cloud infrastructure of SAP. All our 150 million users of SAP are run by my IT organization, 22 U.S. … (indiscernible, 0:00:59) operations as well. Michael Krigsman: The role of IT has dramatically shifted from, say, infrastructure to now where you're an integral part of the customer-facing product and operations of SAP as an organization. Thomas Saueressig: Absolutely. You're spot on. That is exactly the point. I believe, from an SAP IT perspective, we actually influence the product strategy and are part of the product: two examples of what we do. On the one hand, as a customer, if you purchase Concur, Fieldglass, Ariba, S4, C4/HANA, and the likes, we need to ensure that all of this is working in harmony and that we can provision it everywhere around the globe, and you have great performance. As we run, we have so much insight into the portfolio and into the integration topics, we actually defined, for instance, the integration from Ariba to S4. This integration was defined by the IT organization and is now the standard integration of SAP itself. Michael Krigsman: That's very unusual because we think of IT as being internally focused on the infrastructure, and it's very unusual for product infrastructure to be part of the IT organization. Thomas Saueressig: Yeah. Basically, we have two reasons why we did that. The first reason was, we wanted to centralize all the global cloud infrastructure of SAP and, likewise, we also went with the multi-cloud strategy, which means we partnered strategically with Microsoft Azure, with Google Cloud Platform, and with AWS. When you adopt software-as-a-service solutions, actually, in a company, you can also, for sure, free up capacity, which you can then leverage for these additional tasks. Michael Krigsman: What are the drivers that make IT relevant? Thomas Saueressig: I think an IT organization should be the best prepared to think about how I can use technology in a smart way for greater impact to the company and to the customer. The IT organization also needs to rethink their role, getting away from the classic auto ticker, which they were in the past, to also proactively really see how they can make use out of the new technology because, talking about artificial intelligence, talking about augmented reality, talking about also blockchain and the likes, fundamentally exciting technologies, but it's important that you put it in the right business perspective to think about how you can, instead, improve, at the end of the day, the value to the customer. Michael Krigsman: The coming together of business and IT, digital seems to be the driver that enables this. Maybe you can explain why digital creates this opportunity for IT. Thomas Saueressig: I'll give you some examples. We have customers who sell, basically, heating solutions in Europe. But, fundamentally, instead of just selling the heater, they basically sell the entire maintenance on a regular basis, but also now think about in every house you have heaters. Think about the smart home topic now. They are in every home already because every home has a heater. This is a totally different business model thinking about smart homes, IoT, leveraging the topics for a services business, which they now run, at scale and it's growing tremendously. Michael Krigsman: What are the reference points that you use as the anchors or the pillars? Thomas Saueressig: We use the 3M index, which is an industry benchmark index. Two years ago, we had a score of 70%. Two years later, we achieved a nine percentage point increase, and we're 79% of the 3M index score. 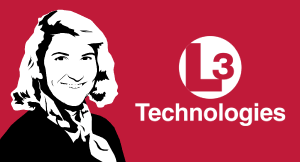 We're now one of the top 5% of all IT organizations on a global scale - top 5%. We really are proud of our IT organization. Michael Krigsman: Let's talk about customer experience. Why is IT involved, and how is IT involved in customer experience? Thomas Saueressig: For me, customer experience, you also need always to look at end-to-end, which means the first touchpoint is of any individual who is kind of visiting our Web page, and we don't have an information purpose except the IP address. This relationship is growing because he's downloading a white paper. We get some more information. Basically, you see a growing information and growing relationship over the time. It starts with the first touchpoint on a Web page, and it hopefully ends with this customer has interest to get a trial system. Then he most probably will turn a trial system into a productive system. Then we have a contractual relationship, and he's entered into it. Then he will receive services, and we will need to help him to adopt our solutions with customer success. If he has an issue, for sure, we need to provide the right level of support, end-to-end. We basically enable all of that. Michael Krigsman: It's always from the reference point of that customer. It's not from the IT perspective. Michael Krigsman: It's from the customer perspective. Thomas Saueressig: End customer. It's the end customer focus, which we need to have. We always need to, if you want to optimize it, think in the shoes of our end customers. Michael Krigsman: You're also responsible for the infrastructure here, and there are 25,000, 30,000 people. Michael Krigsman: So, it's like a city you've created. Tell us briefly about the infrastructure here. Thomas Saueressig: We have an event IT organization, which is running more than 300 events a year. Most of the colleagues here, which support Sapphire now today, actually fly tonight to Hannover where the CeBIT will run next week for the preparation there. If you walk through the show floor at Sapphire, you need to have a great digital experience. We directly scan how long the people are visiting one booth that we can have real-time metrics to see which demo is getting the most interest to ensure that we optimize the entire show floor real time. That's what we do this year so that you don't have these boring, old scanners, which you had in the old days, where the people came to you and asked you, "Oh, can you give me your badge?" and I scan. These days are gone. 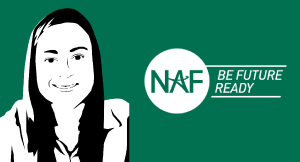 You just walk through the show floor and, with modern technology, we directly track all the different dimensions and recognize patterns and interest for specific sessions, demos, and the like. It's exciting, and IT is basically, again, the enabler of this customer experience, which you see here at Sapphire. Michael Krigsman: Fascinating. Thomas Saueressig, thank you so much. Thomas Saueressig: Thank you so much. Michael Krigsman: It's good to see you again. Thomas Saueressig: It was a pleasure. Thank you. Where does the mining industry meet data mining? 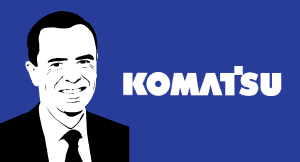 Colin Boyd, chief information officer at Komatsu America, tells CXOTalk about how autonomous vehicles are the future of IT and efficiency for construction and mining – and how a CIO’s role is changing as well. How can globalization drive innovation? 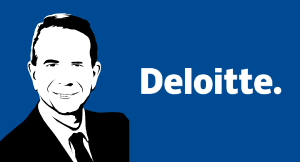 Frank Friedman, global chief operating officer at Deloitte, speaks with CXOTalk about how digital transformation is leading to greater efficiency for audit, tax and consulting services around the world. Data is disrupting the HR field and can help strategize a common mission across various jobs within a company. 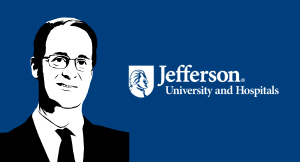 Jeffrey Stevens, chief human resources officer at Thomas Jefferson University and Jefferson Health, tells CXOTalk about how two Philadelphia universities and five formerly independent health systems merged into a $5.5 billion enterprise with 35,000 employees. 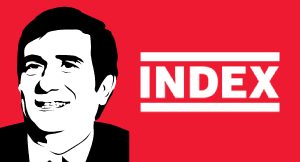 The Index Group, one of the largest distributors of computer products in Turkey, has been in business for 27 years with $1.2 billion in revenue and 40 percent market share. 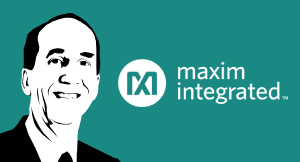 A combination of aggressive competitors combined with changes in consumer buying habits forced Index Group to rethink how it uses IT to gain operating efficiency while supporting new business models and ways of working. Listen to The Index Group's Chief Information Officer, Tayfun Yigit, explain how the company changed its approach to IT and replaced an in-house system with SAP.